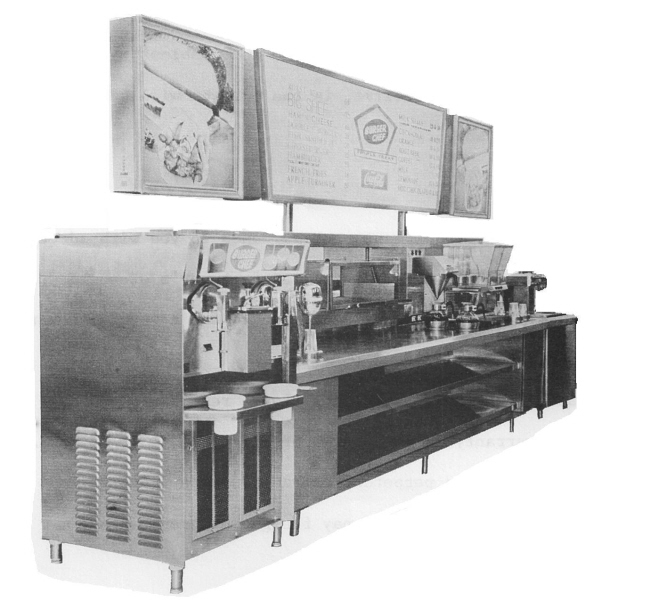 A History of Burger Chef Systems, Inc. 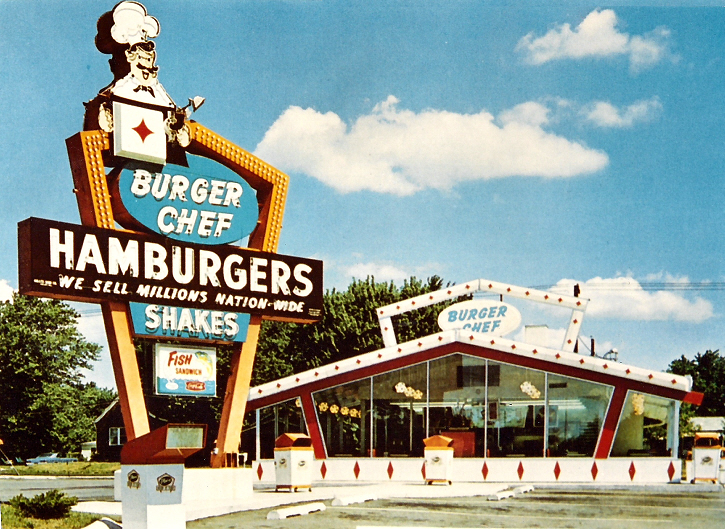 Being a fan of Burger Chef since my childhood, I created this site as a tribute to the former Burger Chef fast service restaurant chain for the enjoyment of former customers, employees and those interested in the history of this subject. Being an "unofficial" fan tribute site it is in no way connected with Hardees/CKE, the current owner of the rights to the Burger Chef name. 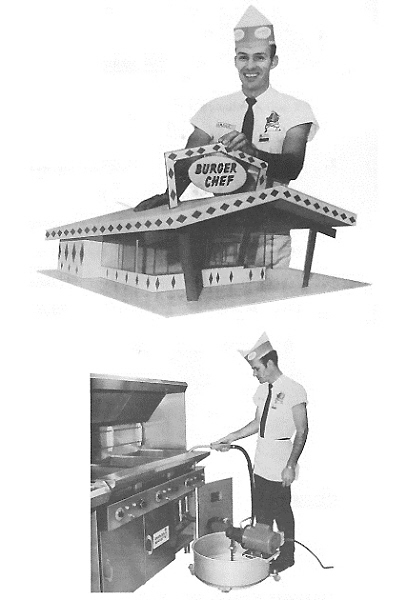 Kyle's Burger Chef Memories Website A great Burger Chef tribute site, fantastic vintage photos! Burger Chef Souvenirs on ebay Fun to browse and bid! Lost Indiana: Burger Chef A page about Burger Chef in its home state. Roadside Archecture: Eateries Photos of former Burger Chef buildings and signs. 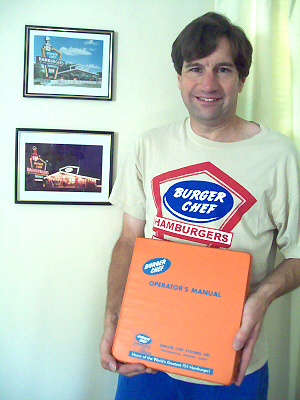 BurgerChef.com Archived version of the original Burger Chef tribute site. GoogieArt.com Offers a gallery of sketches of diners and coffee shops from the archives of Arnet & Davis. Roadside Peek A fabulous site...tons of great pictures! BoomerBaby.com Lots of memories and fun stuff here! Tick-Tock-Toys A fantastic food archive, 100's of pictures! Discount Stores of the 60's "Grab your cash, climb into your tailfinned gas guzzler and take a shopping trip back in time to some discount stores from a bygone era." "Images of America - Burger Chef"
By Scott R. Sanders with a foreward by Frank P. Thomas, Jr. ...I highly recommend this book to all Burger Chef fans. 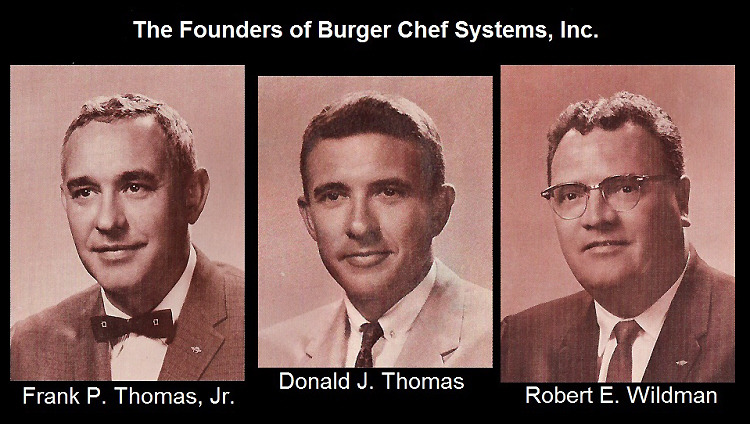 A pictorial history that covers everything from the Thomas family's General Equipment Company in the years before Burger Chef to how Burger Chef was started, then goes into Burger Chef's initial growth in the 1960's. Chapters also cover the General Foods years, advertising, memorabilia and Burger Chef buildings still in use. It is lavishly illustrated with great pictures, many which I have never seen before. 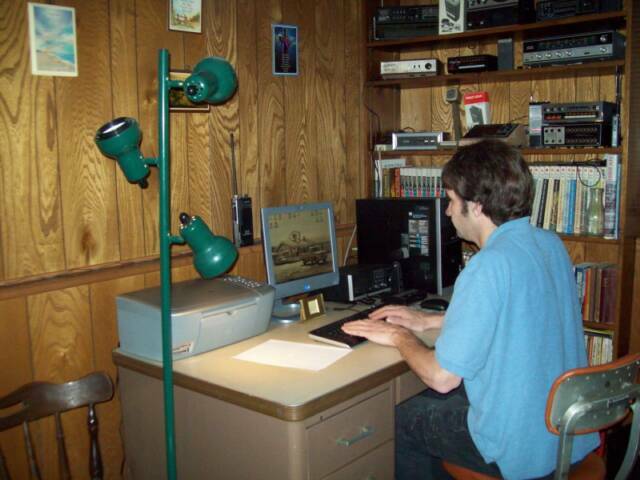 It doesn't seem like more than ten years has passed since I first logged onto the Internet in 1999 and began my Web building work . I can't claim to be the first to have the idea to commerate Burger Chef on the internet. It was Paul Browning's Unofficial Burger Chef Homepage site (archived here) which was started in 1998 that gave me the inspiration. Since then several other sites have popped up all with the interest of preserving this once great Fast Food chain and doing it each in thier own way. I've had fun building up the site and hearing from so many visitors here - former employees who enjoy reminising about thier years working at Burger Chef and those, like myself, who have childhood memories of eating out at Burger Chef. I'd like to take this opportunity to say Thank You for your kindness and support, without you and all who visit here, this site would not be worthwile. I hope you continue to enjoy the site. 1960s Burger Chef front service counter and menu board. 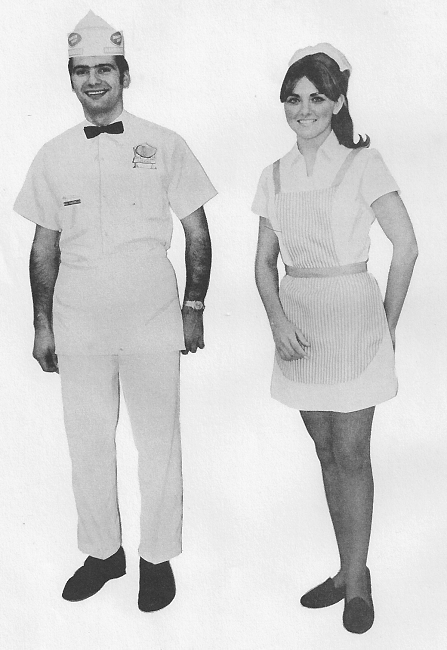 Burger Chef uniforms in the 1960s. 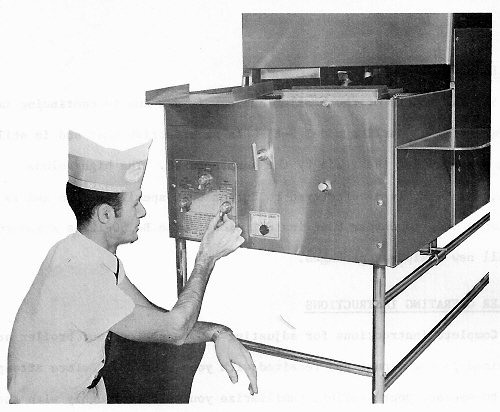 Burger Chef manager operating the pilot controls of a Sani-Broil B-150-12 broiler. "Flameout: The Rise and Fall of Burger Chef"
...A comprehensive 227 page illustrated history published in 2012 covering Burger Chef from its very early roots to the last franchise closing in 1996, and an epilogue that goes beyond. Another book I would recommend to fellow Burger Chef fans, I learned alot of things I didn't know about Burger Chef reading this book. Written by John P. McDonald, Webmaster of the Lost Indiana Website. 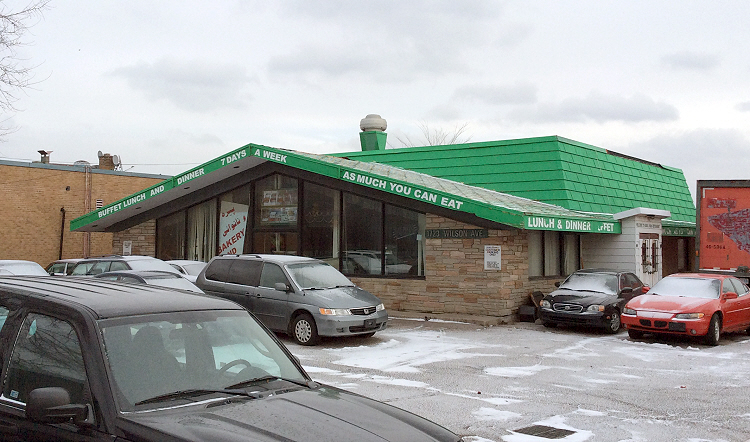 A well preserved Cosmo II style former Burger Chef on Wilson Avenue in Toronto, Ontario in Canada. David, who supplied this photo, reports it is no longer in use as a restaurant.